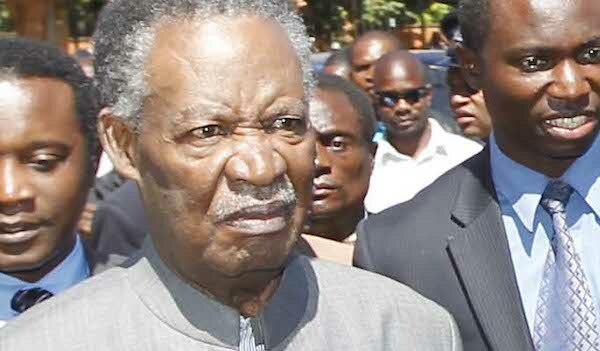 President Michael Sata is unable to travel to USA for a meeting with president Barack Obama and other African leaders, sources at State House have revealed. And the president might also not be able to officially open the 88th Agriculture and Commercial Show in Lusaka like has been the case since 1919. On the USA trip, Sata has instead sent ceremonial vice-president Guy Scott to represent him. Scott is currently in Mangango where he is doing a fast-track campaign before he can disappear from the rural constituency and fly to USA most likely on Sunday or Saturday evening. The Watchdog is reliably informed that Guy Scott’s advance team, which includes his security left today, Thursday 31, July 2014. The White House has said the meeting will be the largest event that any U.S. president has held with African heads of state; it is aimed at strengthening trade and investment between the United States and the African continent. The official U.S.-African Leaders Summit is planned from Monday, Aug. 4 to Wednesday, Aug. 6 in Washington. Some countries in West Africa which are hit hard by ebola have cancelled the trip. It is not clear why Sata is not able to travel but all indicators point to dementia. On the Agriculture and Commercial show which is supposed to be opened by the president, the Watchdog has been told that Sata will not attend as he can not stand and read a speech or worse still tour the stands as previous presidents have done. The first show in Lusaka was held in 1919 and has been held every year thereafter with the exception of the years 1921, 1941 to 1946 because of the first and second world war, and in 1966 as well due to Rhodesia’s Unilateral Declaration of Independence the previous November, which led to the occupation of a large part of the Showground by the aircrew of the Royal Air Force. In all these years, the Show has been opened by whoever was the head of government even the colonial government or a foreign head of state was invited to open the show side by side with the Zambian leader. The show is an important event and previous leaders took it very seriously as it offers a platform for cultural exchanges regionally and internationally, which is a catalyst for development for any country. As things stand, the organisers of the show do not even know who will officially open the show unless Guy Scott returns from Mangango in time to go and read the speech before getting on a plane to USA. Maybe this time the show will be opened by Chanda Mfula, the PF director for information or some other PF functionary. A few days ago, Sata is said to have sworn in some officials to his government but no journalists were allowed at the event. It is reported that Sata did not say a word during the swearing in ceremony but was just blinking and handing over papers.